Succulent Cameo Class - In this class we'll create a jewel-like succulent cameo. 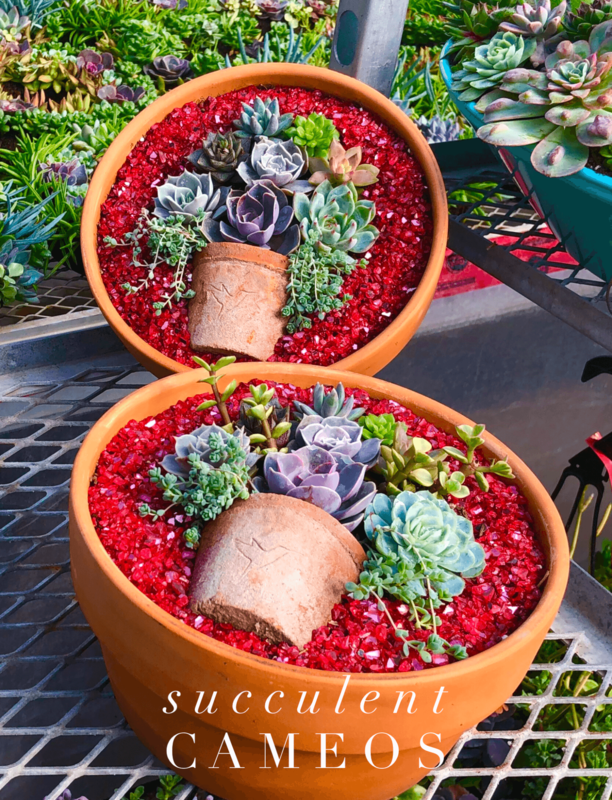 We'll use a small pot within a 10" succulent bowl pot and adorn it all with all sorts of succulent 'jewels'. Choose various decorative backgrounds to complete your masterpiece. If only. you could wear it home! But you can take it home and soak in all the OOOs and AHs and WOWs. This is offered at the acreage and Avalon as both a public class (54.50) and private class (59.50) for your group of 5 or more.